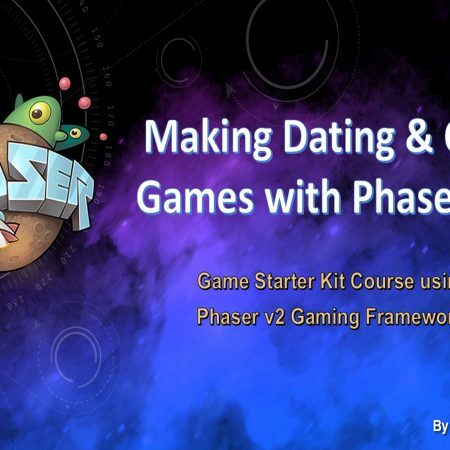 Quickly learn how to create online games with Phaser v2.6.2 or the Community Edition. This course is tailored for both the novice and advanced game designers as students or as Workshop Instructors. 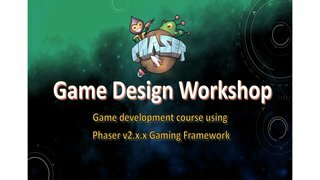 Use these methods to build 100s of Phaser v2.x.x game as Progressive Web Applications or Single Page Web Applications. 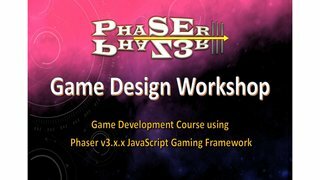 This course is based on the popular Phaser Game Design Workbook and Phaser Game Prototypes; both are available as a separate bundled set. You’ll also get bonus download examples, source code, abridged references on how to do every single thing in this course, so you can copy and paste these into your own game design and then modify those resources for your own purposes. I would like to guide you in creating several game mechanisms that typically appear in all games. You can combine these game mechanisms to support your game mechanics. By the end of this tutorial, you should have a fully functional game using your own gaming assets and, more importantly, a database of routines to use in further game production. There is a supporting website where you can download the bonus content included with your course purchase. How to integrate game mechanisms into other game genres such as RPG and FPS! Analyze current business demand for this game’s genre and where to deploy it. Automatically generate game code from a database of snippets. Use various Phaser v2 plugins. Instructor Guides and teaching resources available for workshops in this course’s special Teacher edition modeled after Mozilla Content Kits.